Michel, who is a citizen of United Kingdom, was brought to India late Tuesday night following his extradition by the UAE in connection with the Rs 3,600-crore deal case. 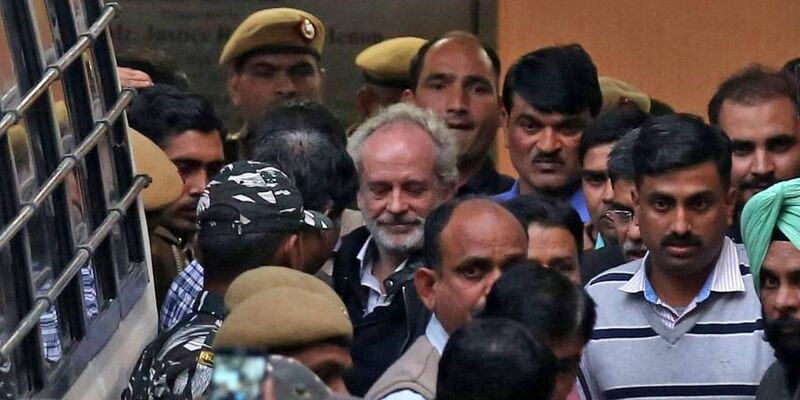 NEW DELHI: Christian Michel, the alleged middleman in the Rs 3,600-crore AgustaWestland VVIP chopper deal, was Wednesday produced before a Delhi court which allowed his five-day custodial interrogation by the CBI. A bail plea was also moved on his behalf. The court did not give any specific date for hearing the bail plea. Around 15-20 personnel of the CRPF and 30 Delhi Police officials had been deputed in the court complex as well as outside several of its gates, said one of the police officials. The police force, included women officials. Michel is one of the three middlemen being probed in the case, besides Guido Haschke and Carlo Gerosa, by the ED and the CBI. The anglo-italian company, AgustaWestland, is also one of the accused. Tyagi, who had retired in 2007, his cousin Sanjeev and Khaitan were arrested on December 9 last year by the CBI in the case. These accused are currently on bail.